With Rishikesh in India becoming the Yoga hub, searches for travel option to this destination has grown. We want to make it easier for you by answering how to reach, some tourist destinations and weather in Rishikesh. Jolly Grant in Dehradun is the nearest airport to Rishikesh, only around 30 minutes ride on taxi. Jolly Grant is a small airport and you can easily find a taxi to take you to Rishikesh. There is no direct train from Delhi to Rishikesh but yes, from Delhi to Haridwar. Haridwar is around 30 minutes ride on taxi but traffic may make it 45 or more minutes if you are arriving day time during June/July. You need to do a thorough scanning to find a taxi outside Haridwar Junction. Other options can be bus and auto-rickshaw from Haridwar to Rishikesh. There are currently four daily trains to Haridwar from Delhi. They leave four times from early morning to late night 11:50. The travel duration vary between the trains, as low as 4 hours to as long as 8 hours. If you plan to travel by train, please book your seats one month prior to your planned arrival date. You can catch a bus to Rishikesh from Delhi. This may be a good experience but don’t try it if this is your first bus ride in India. Try it on your return journey if you really want to experience. You can find the bus early morning, during the day and till 11PM in the night. The ride is around 8 hours, traffic determines the time. 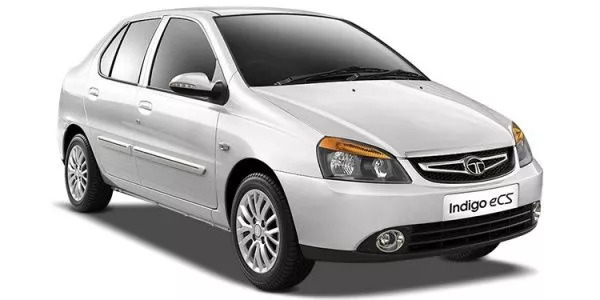 Taxi is safe, cheap and peaceful way of transportation from Delhi to Rishikesh. If you arrive late night at the airport, you can catch a taxi outside the exit and make way to Rishikesh any time. The ride is around 6 hours. If you leave after 9:00 AM, you may encounter heavy traffic while early morning or late night ride may drop you to Rishikesh within 6 hours. The charges may vary, deal smartly with the driver or you may end up paying double or sometimes even four-five times more than the actual cost. If you want to book a taxi on your own, you may end up paying INR 20,000 (or more) for this ride. Taxi drivers can read you easily and fix the rate – they easily distinct between an experienced traveller and a new one. If you are first time in India, please try to book a taxi through some agency prior to your arrival date. We offer taxi service to our students from Delhi to Rishikesh. Also from Dehradun airport or Haridwar Junction to Rishikesh. Visited by thousands of internal and external tourists every month, Rishikesh is a tiny city in North-India popularly known as the Yoga Capital. People practising yoga in one form or the other have Rishikesh in their list of ‘to visit’ destinations. They either come for yoga teacher training course or yoga retreat or simply meditation. Surrounded by beautiful hills and parted into two by the river Ganges, Rishikesh is major destination to tourists on their way to the four main pilgrimages of Hindu and other tourist destinations in Uttarakhand. Hindu devotees can be seen taking dip in the Ganges, they believe a dip in holy Ganga swaps away their sins. Evening Aarti on Ganga bank is enchanting, meditation on the sand fulfils one’s life. They say, Hindu God Ram and his brother Laxman had crossed river Ganges in ancient times. There are two bridges namely Ram Jhula and Laxman Jhula (where Jhula means bridge) that connect the Ganges banks at two different places making it easier for people to travel around the city. These popular bridges attract tourists with the immense beauty of Ganga they allow individuals to watch. While crossing these bridges, you will see number of people clicking photographs. Well, you may be the one.